Paddling Life Lessons – What the Impact Zone taught me about decision making. One of the scariest places on Earth? It’s called the Impact Zone. The name itself gives you a fair idea of what happens there. It is where an ocean swell becomes a breaking wave. It’s a narrow piece of sea, near the shore, where all the energy of the swell is detonated into a mass of moving water. If you can navigate your way through the impact zone correctly, on any type of water craft, the exhilaration is addictive and you’ll keep coming back for more. Surfers and paddlers have been doing it for years. However, anyone that’s been caught in the impact zone will confidently tell you, it’s one of the scariest places on earth. You are helpless as you get pummeled and rolled by that mass of water, searching for air, completely at the mercy of the sea. They can all tell you how quickly you learn to pray. 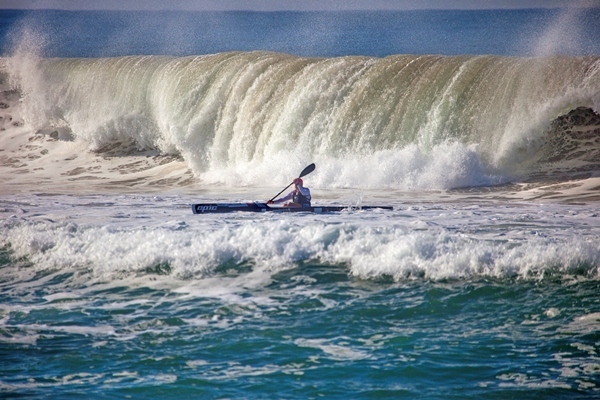 Paddling back to shore through the impact zone is a refinery for ocean paddling. 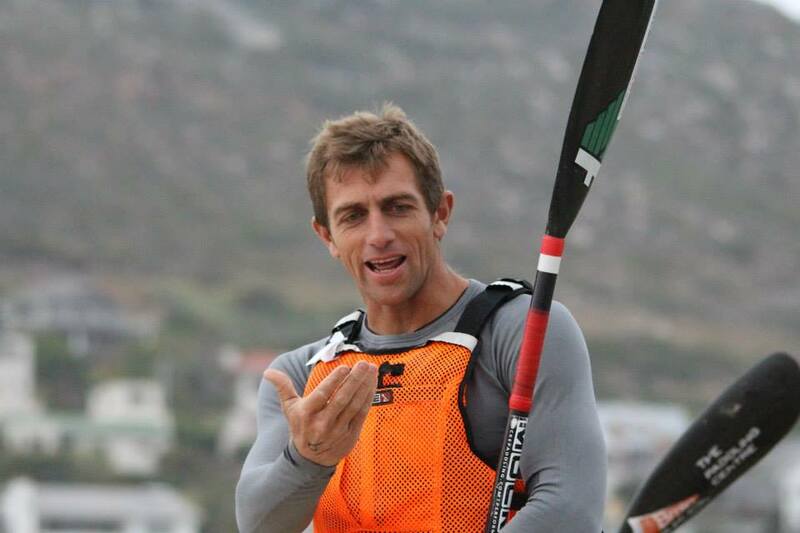 It is one of the central skills that we focus on in the Ocean ABC of Paddling course presented at our 3 Surfski Schools in South Africa, and which I’ve been coaching since 2002. If you can get this right, you can call yourself an ocean paddler. And to get this right you must learn 3 things: how to catch a wave; how to NOT catch a wave; and most importantly, decide between the two! You have ONLY two options. When paddling back to shore, at the Impact Zone, you MUST DECIDE: (a) Catch a Wave, or (b) Don’t Catch a Wave. But, there is NO IN-BETWEEN OPTION; you MUST pick one of the two. The reason is that whichever option you choose dictates your actions and how you will deal with this obstacle called the Impact Zone. The result is the same – you make it to the beach – but the method of how you get there is very different. If you don’t make this decision, or simply expect to float in without any consequence, then you simply have no plan for getting through the waves. You have literally sabotaged yourself and you will soon experience why it can be “one of the scariest places on earth”. Be indecisive here, and you will get dumped. Indecision is a bad decision! It is easy to see the life lesson here. In life we are daily faced with choices that require a decision. We come to “Impact Zone” times in our lives and unfortunately the majority response is to just carry on floating towards the impact zone. We tell ourselves that it will just “figure itself out” and we expect to just “float through” unscathed. But inevitably our indecision leads to disaster. We must realise that to be truly successful and live truly edifying lives – whether in our relationships, in our families or professionally – requires decisive, intentional living. You can’t just float your way through life and expect it to work out well. I learned early on in my paddling career to decide between catching and missing a wave, and this skill has helped me in many “impact zone” decisions in my life. To name a few: deciding to marry, deciding to become a professional athlete, deciding to launch a paddling brand, deciding to have children, deciding to work less and be home more, deciding to NOT take some business opportunities, the list can go on. These are all big decisions, but we are daily faced with Impact Zone decisions that could ultimately set the course of our lives. Perhaps you are being faced with such a decision right now? I hope and I pray, that you will have the discernment to judge between whether you should catch that wave, or miss it. 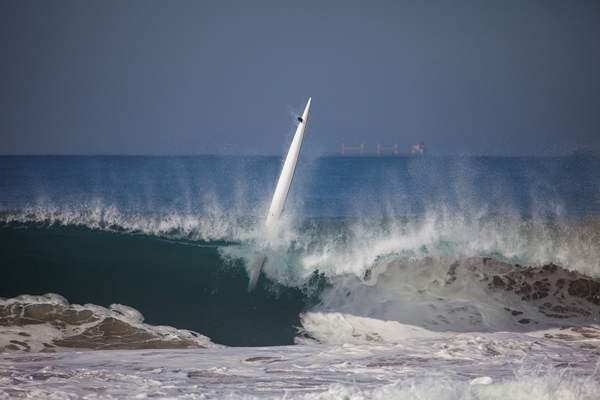 The Paddling Life Lesson and today’s #MockeMaxim: “Impact Zone Decisions” Are you going to “catch that wave” or not? 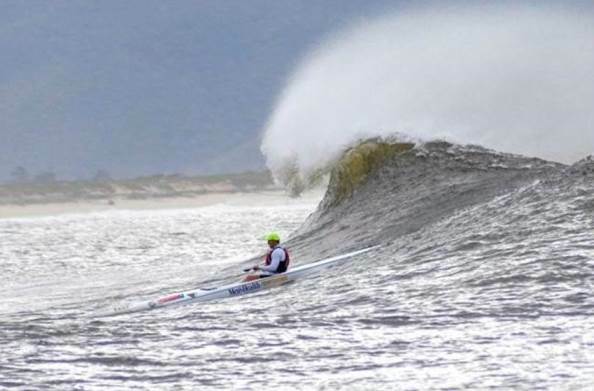 This entry was posted in Blog and tagged dawid mocke, kayaking, life lessons, Mocke Maxims, surf ski, surfski, surfski school.